Vidicom Realtimers - A Vidicom and Christy Ferer Company: Vidicom's Marketing Manager Charlie Presents the Best Pizza in New York! Vidicom's Marketing Manager Charlie Presents the Best Pizza in New York! Vidicom Loves Pizza - Do You? I’ve lived in this fair city and worked at Vidicom for close to 15 months now, and in my time here I’ve eaten plenty of pizza. 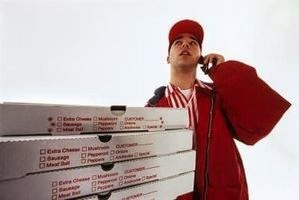 I like to think of myself as a pizza connoisseur, you see, and I don’t take this business very lightly. I grew up on Long Island, an area with reputable pizza. I then moved upstate, to Albany, a city that wins awards for trying really hard with their pizza. However, they just couldn't get it right. When I moved to Manhattan, I was expecting the pizza to be good, but I can honestly say that the hype is fully warranted! Now, don’t think that my pizza has to be fancy - because that couldn’t be any farther from the truth my good friend. I am equally happy grabbing a slice on a paper plate as I walk home from a wonderful and mentally stimulating workday at Vidicom’s Sky Terrace Studios as I am to sit down at a fancy restaurant with a bottle of wine and a gourmet pie. 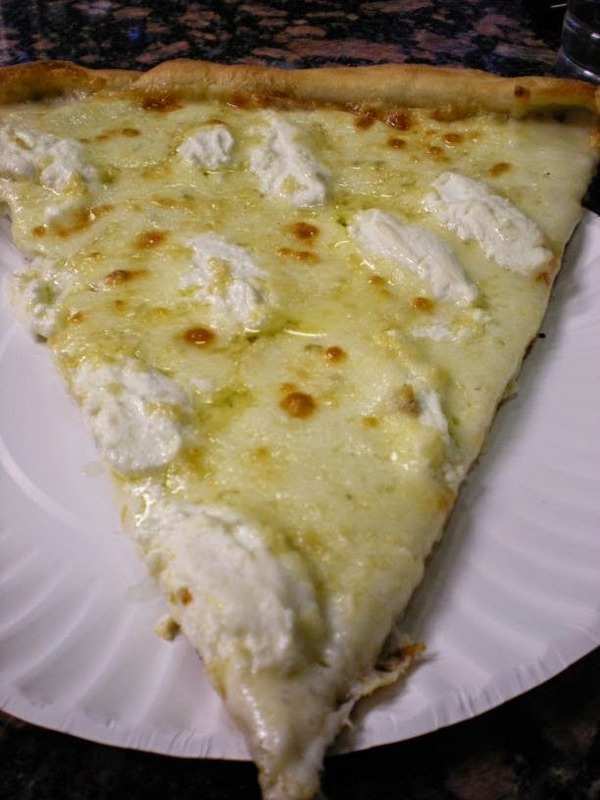 To be quite honest, my favorite slice of pizza is the white slice at Joe’s Pizza in Union Square. I know the original location is in the Village (they filmed scenes from Spiderman there! ), but I live close to this spot and often will stop in on my walk home from the L train. There aren't many things in this world more pleasurable than strolling off the train after a day closing deals at Vidicom, taking my time as I walk down the block, popping into Joe's Pizza, and walking out with a white slice and a fountain Coke. Sure, I could get a slice for $1 down the block, but that's blasphemy! Pure blasphemy, comrade, and I won't entertain another second of it. Believe you me when I say that! Now that we've gotten the simple pleasure slice out of the way, it's time that we discuss the real deal. The nitty gritty, if you will allow me to use such bold and presumptuous language. I'm talking about the granddaddy of all pizzas - the fancy restaurant pie. I try to reserve this for dinner with family, a close and trusted friend, or a date with someone I really like. Now that I think about it, if the Vidicom team rewarded good work with Motorino, I'd be employee of the month year round! 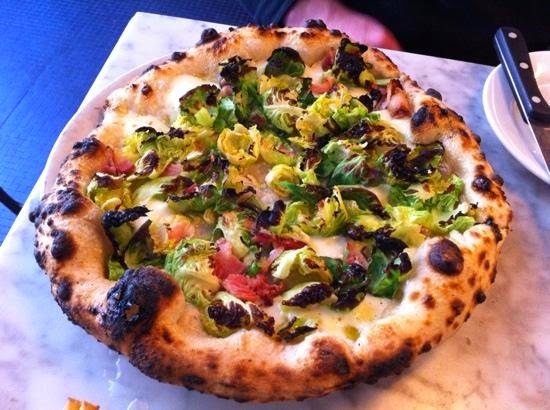 My favorite pie of this nature is the Brussels sprout and pancetta slice from Motorino. The East Village Motorino is right on 12th street, where I live, so I go way more than my wallet - or waistline - can afford. But can you blame me? is really just more than I can bear. After every bite, I need to pause briefly and take in the subtle yet magnificent blend of flavors. What's your favorite pizza in New York? Let Vidicom know with a comment!